Jean (Scott) Jest was born in Hackensack NJ on 10/09/1937. She was the daughter of the late Clarence Edward Scott and the Late Julia Lee Johnson Scott. She was employed with the State of Rhode Island Medical Center (IMH) for 32 years as a Registered Nurse. After her retirement she did nursing home care for several more years. She met her first husband the late William Howard Simpson AKA Sonny in Manhattan NY where they had four loving children that she leaves, her daughter Linda (Tshombe) Lambert, and her sons Howard W. Simpson, Danny Simpson and Steven Simpson. Her second husband that she was married to was the late Earl E Jest AKA Sonny. She leaves her loving sister Marie Scott, she was the loving sister of the late Barbara Scott Lanier and her brother the late Clarence E Scott. She also leaves lovely her sixteen grandchildren, nineteen great grandchildren and four great-great grandchildren. Her greatest goal in life was her worship to Jehovah God in which she dedicated her life to as a Jehovah Witness for about 53 years teaching and preaching about his word. She loved music, crocheting and knitting. But her specialty was her cooking. 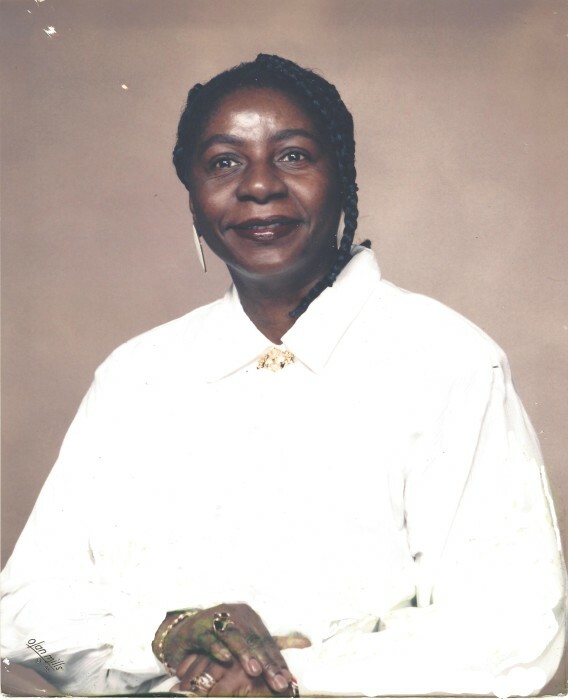 Her family and friends loved her cooking which she did almost faithfully on bible study nights and every Sunday. She was best known for her potatoes salad, lima beans with neck bones & ham hocks, and her grandchildren's favorite Mac and Cheese and spaghetti and her special meat sauce. She fought a great fight of a five year illness which she endure with unbelievable strength. The last month of her life she squeezed the hand of everyone that visit her and blew them kisses. The family would like to thank some special people who gave of themselves to helped us care for our mom and spent a lot of quality time with her: her daughter in law Cheryl Lopes, Adopted daughter Vickie Ezikpe, Joy Palmer, Marie Washington, Christine Ash, Kenny and Shelly Smith, her niece Hazel Montalvo who traveled from NY often, Brother Gity who has supported the family since the first day of her serious illness, sat with the family and prayed with us most of the day along with the late Rosa Robinson who also spent a few days every week when she could with our mom. The Paul Bearers are all her Grandsons: Steven Mitchell, Howard Tyrone Scott, Danny Lopes, Donald Lopes, Michael Lopes and Tshombe P. Lambert. The Family would like to Thank all of our family and friends for your sympathy and presence during this time of sorrow, your support means so much too us, the cards, flowers, meals, phone calls, home and hospital visits singing and praying with her.